This comb is the perfect concealed self-defense tool on the planet. These are covert, disguised in a comb these knives are perfect for protection in nightclubs and even on the street. 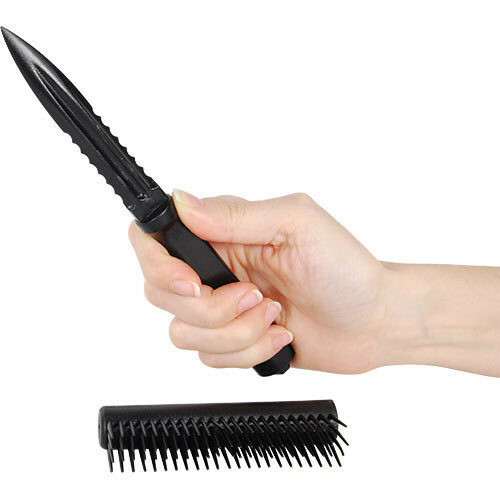 A harmless hair care accessory at first sight, this fully functional comb transforms into a knife, but not just any knife. By taking the comb apart, you reveal a 4.25 inch blade made from strong ABS plastic that can deal a great amount of damage to any attacker.